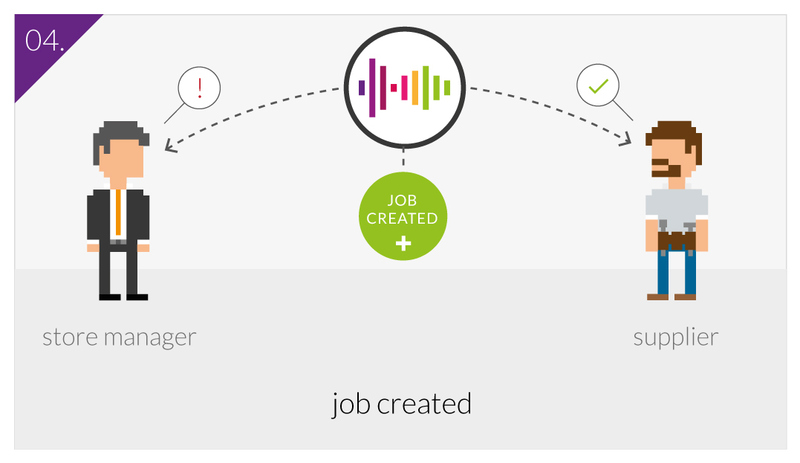 FlowTracker is an audio based process tracking system. 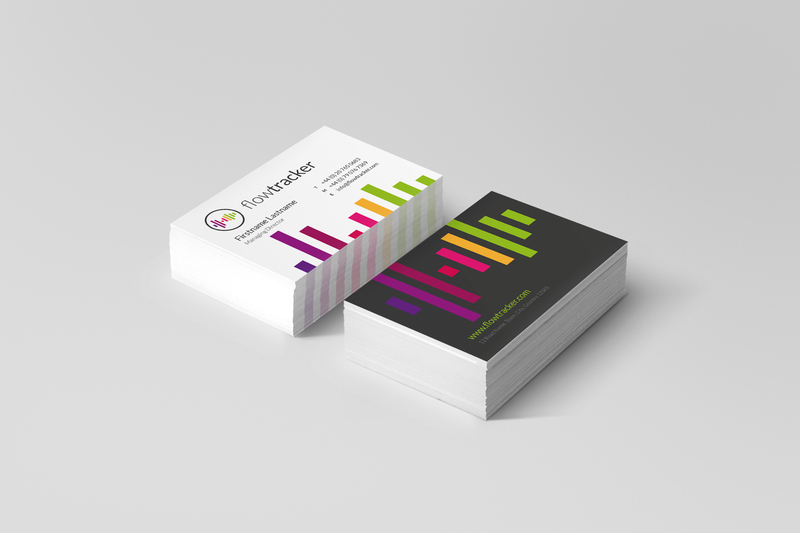 They needed a clean and clear branding that would be modern and flexible as well as explanation graphics for their process. 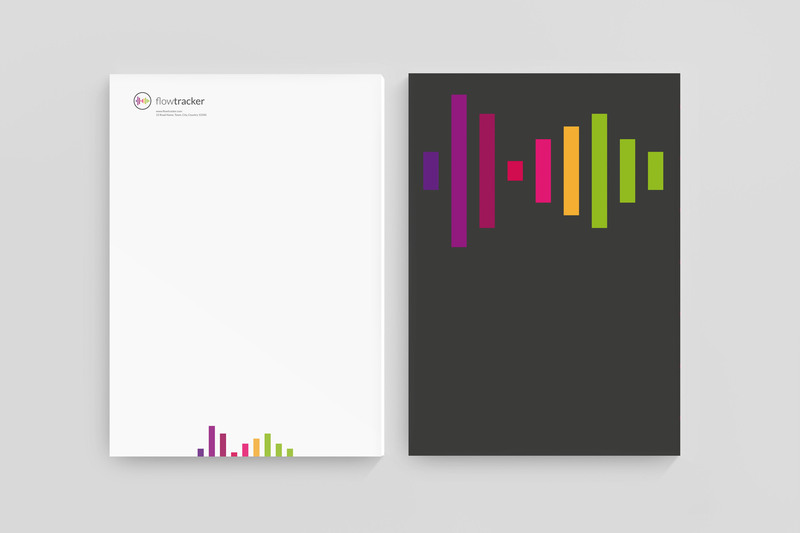 a clean and clear branding that would be modern and flexible. 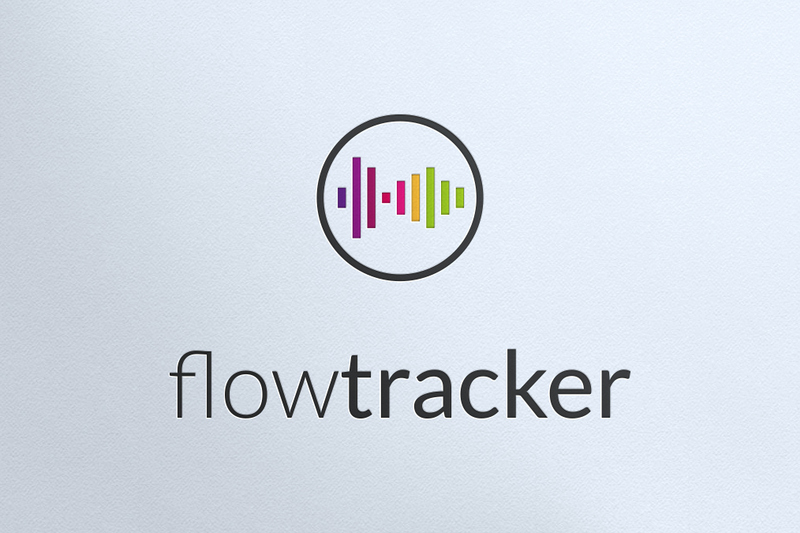 Final logo - The service is based on audio recordings and the logo depicts a very simplistic wave form of the name FlowTracker. 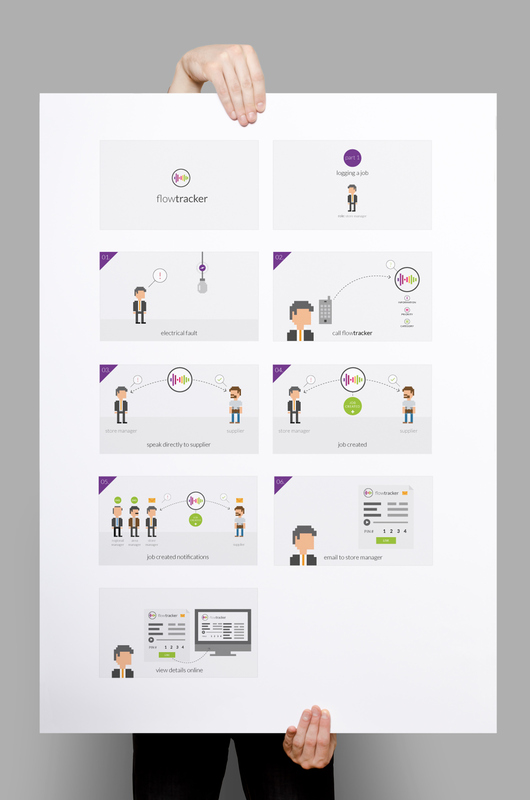 Process diagram poster. 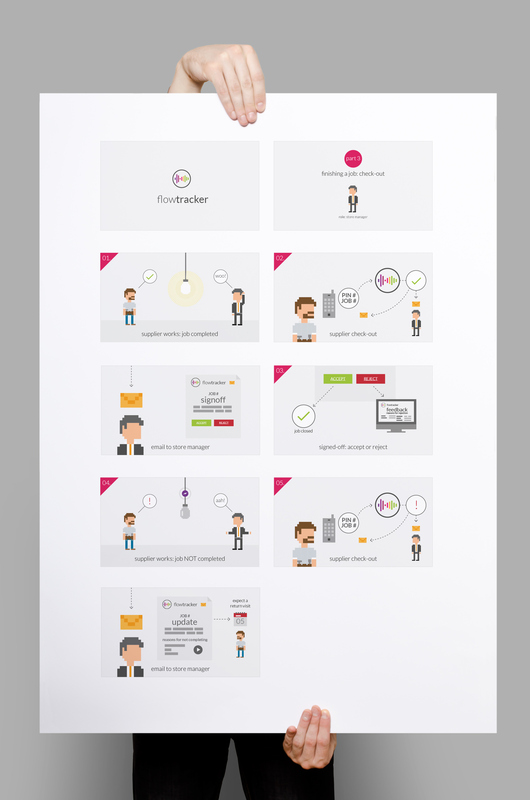 Used for presentation and eventually animated.